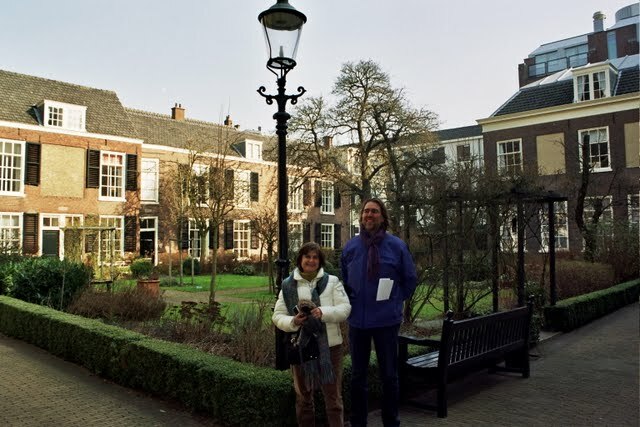 Our visit to The Hague in the Netherlands with Jos, our special greeter. 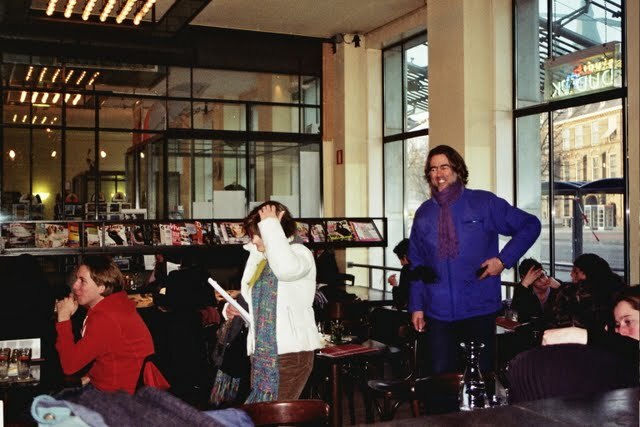 On March 3, 2011, Marta, my partner, and myself flew to Amsterdam Airport Schiphol, via Barcelona, so that we could meet Jos Nusse, chairman of the Global Greeter Network and project manager of The Hague Greeters, Den Haag in Dutch. After lunch at the Airport Schiphol, we were off to The Hague. 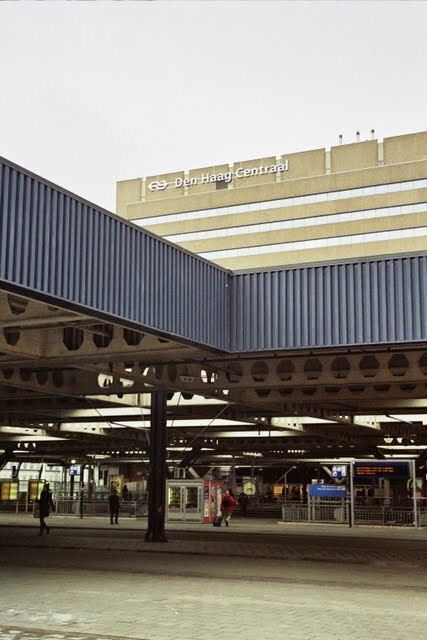 Directly underneath the passenger terminal, there is a railway station that connects the airport to many cities in the Netherlands, as well as to other countries in Europe. 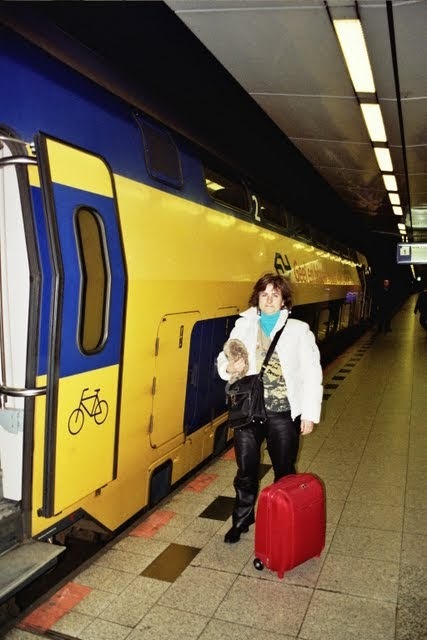 We took a double-decker train and 30 minutes later we were at Den Haag Centraal. Once you walk out of the train station, you see several tram platforms. 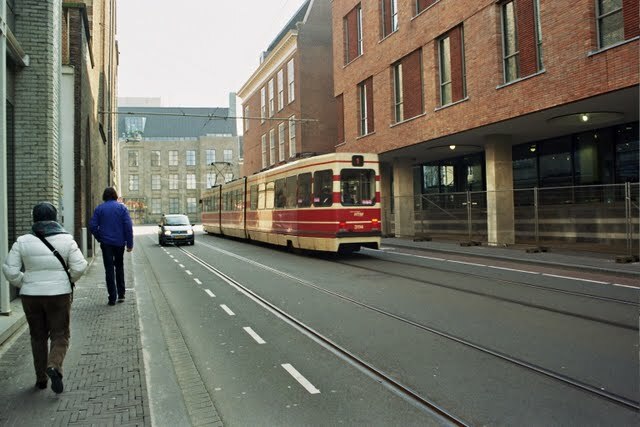 We took Tram Line 17 to get to the hotel we were staying for two days. We were very happy when we arrived at the hotel. The day had begun for us at 4.30 a.m. and 12 hours later we were going to meet Jos in the hotel lobby. We were tired but excited as we knew there were so many things to see and experience in just a couple of days! We wanted to meet a greeter, experience in person a visit with a greeter, learn as much as possible about the concept and the Global Greeters Network, how they overcome the problems they are facing, look for advice on how to implement a program, learn from their experience and so on. The visit was very positive for us. 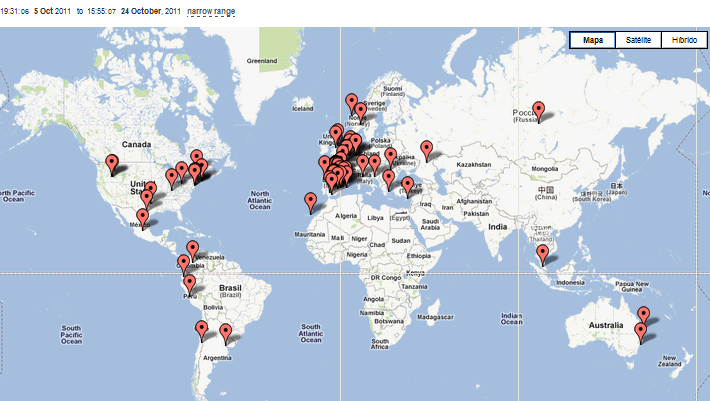 We had two great and full days and thanks to Jos, we accomplished a lot. We felt very fortunate to have a fantastic greeter who shared his time and knowledge with us. We really enjoyed living the city not just visiting it. On Saturday morning, with the sense of leaving a friend and with the desire of coming back to The Hague, we started our trip back home. 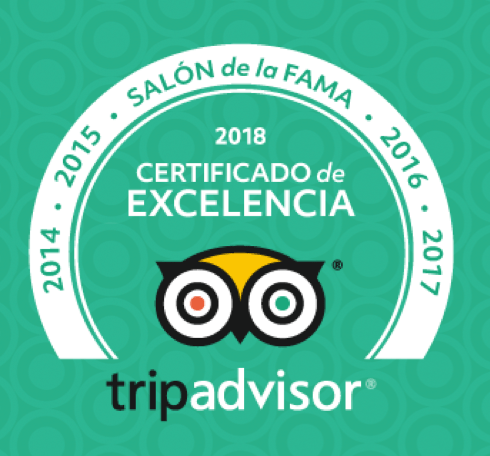 Since we found out about the greeters program, Marta and I have been working very hard towards our goal of developing it in the Basque Country and now, for the first time, we are having the feeling that our dream is possible. Below you will find some of the pictures I took during our visit, with comments. We stayed in this very nice and friendly hotel called “Hotel Petit”. 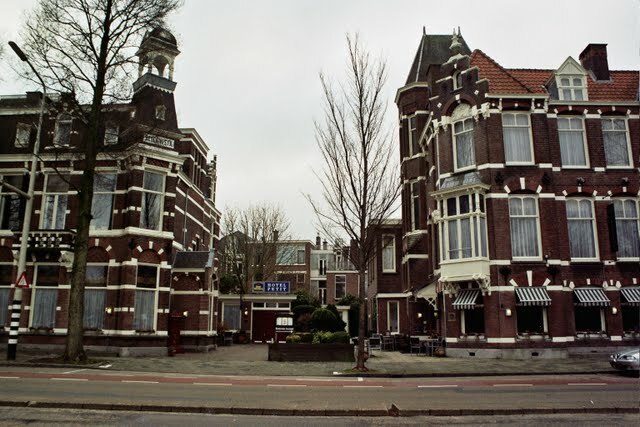 It is located in the Hague’s embassy area. Jos, our greeter, came here to welcome us and to guide us into the city centre. No, this is not our hotel! 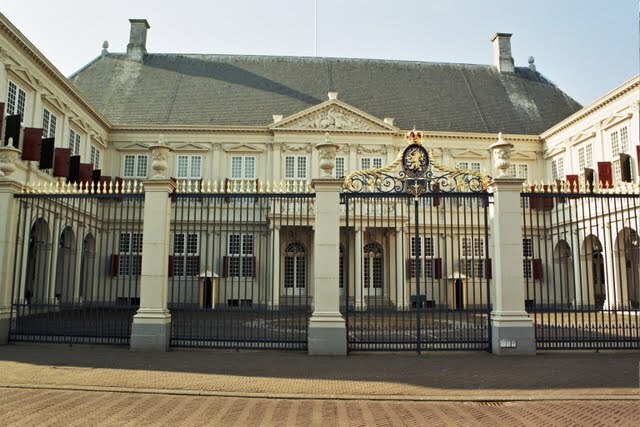 I wouldn’t mind, but this is the royal palace that Queen Beatrix uses as her office, called Paleis Noordeinde. 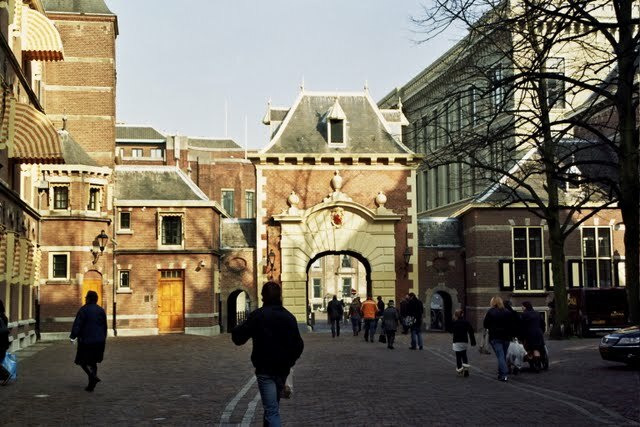 On the opposite side of the palace there are the Royal Stables and some gardens open to the public for walking. When we walked through, there were a lot of small kids playing with their parents. 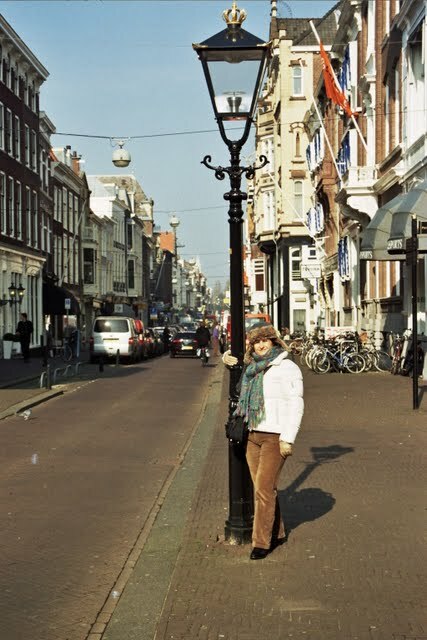 Marta holding the pole of an old streetlight in Noordeinde street, the exclusive shopping street where the palace is located. 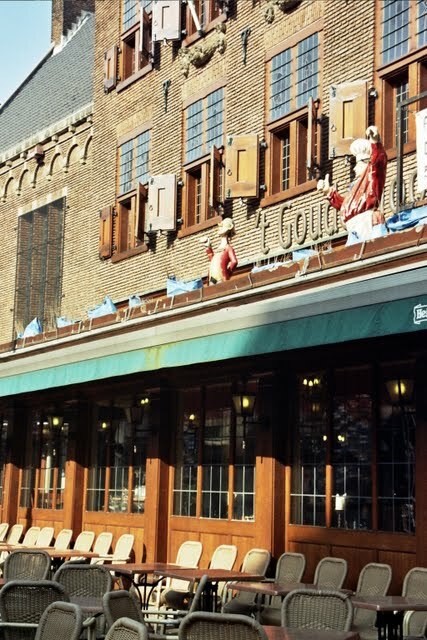 T Goude Hooft This is one of the most famous restaurants in The Hague. The building is very nice. We didn’t go inside, perhaps next time. 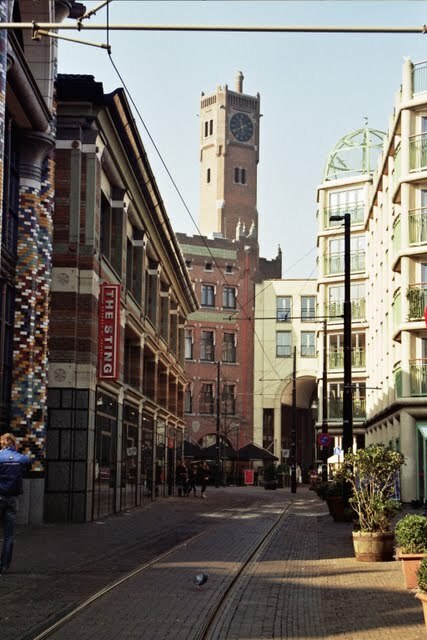 A pleasant stroll along Grote Halstraat street. 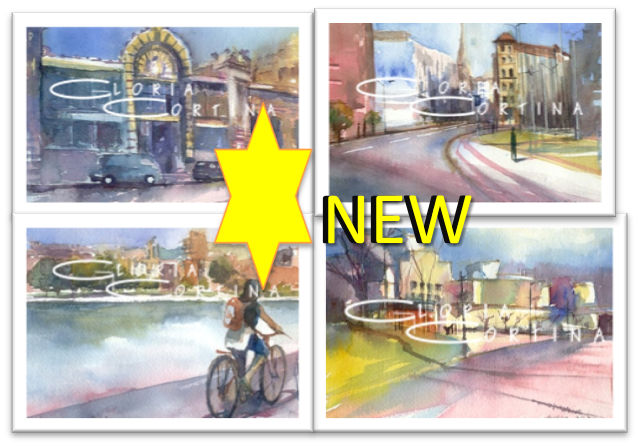 Marta and Jos – thanks for 2 fun-filled days! The picture was taken in a hidden place that Jos took us. I like trams. This is a street off the beaten track. The entrance to walk into the parliament square. A very nice place. It is the oldest part of the city. 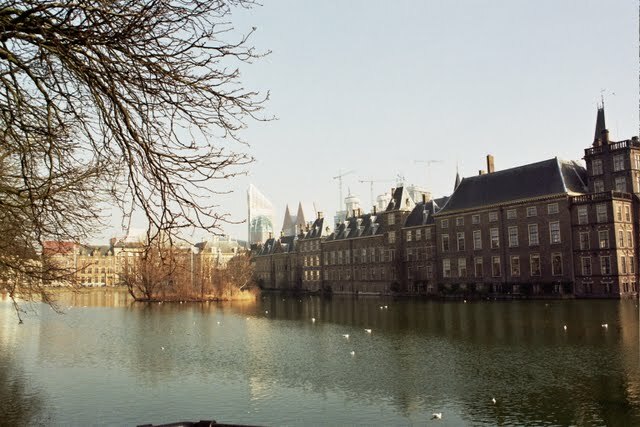 I took this picture while walking by The Hague’s Parliament buildings. It was a cold day but walking in the sun was lovely. Outside the Binnenhof, Jos invited us to eat Dutch herring at a local fish stall. 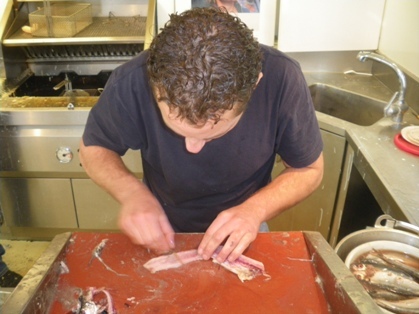 The herring was a small fish cured with salt and eaten raw with chopped raw onion. The fish is cleaned just before you eat it. Once is cleaned, like the one in the picture, you hold it up by the tail and slip into your mouth. That is what Jos told us. Marta was brave enough to eat the herring. She said it was really good. I pretended to like it but the look on my face was clear. Eating something that was almost raw was too much for me! A good place to get one's strength back, we ate bacon Pannekoek with syrup, which it is a kind of pancake. It was really good. During our stay, we also had a chance to try some of the delicious Indonesian cuisine. We enjoyed it. Marta and Jos leaving the restaurant. 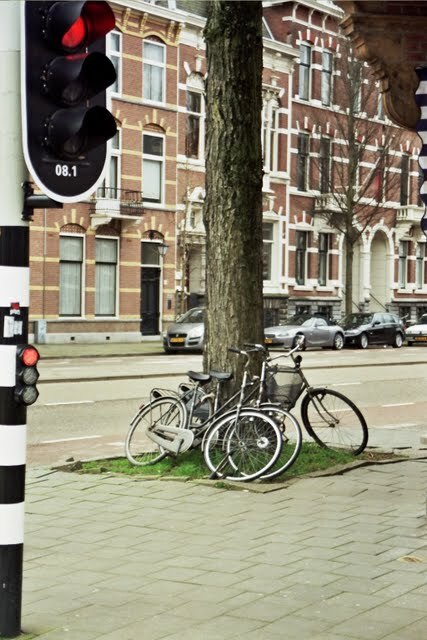 There are always lots of bicycles around and of course, any place is good to let the bike rest. 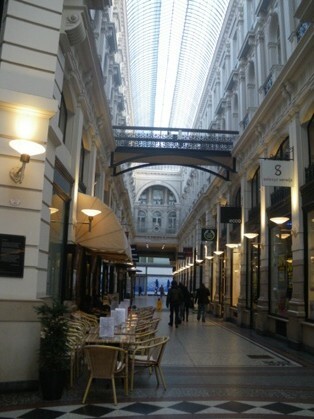 This is a covered shopping gallery, called “The Passage”. The roof is made out of glass and there are really nice expensive shops inside. Talking about purchases, we wanted to take some cheese home but we didn’t know what kind to buy and where. Once again, Jos was a great help. He took us to a supermarket and helped us to choose 3 different types of cheese. We ended up buying goat cheese, Gouda Dutch cheese and a cheese with seeds., I do not remember the name. Back home, we did a wine and cheese party. What a success! Pairing red Rioja wine and Dutch cheese was delicious. Needless to say, the cheese didn’t last too long. 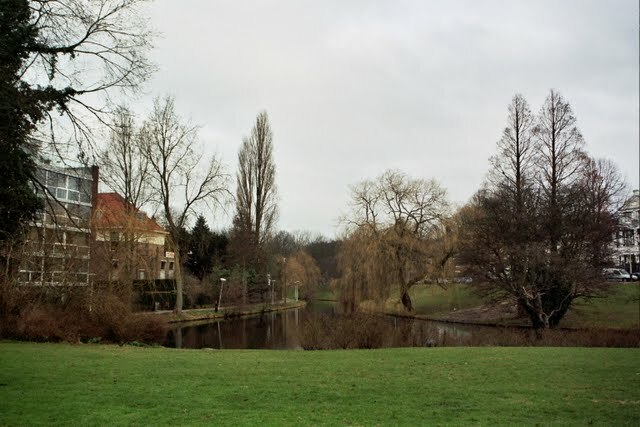 There are a lot of green parks in Den Haag. This is a view from our hotel room. Den Haag Centraal, the main train station. 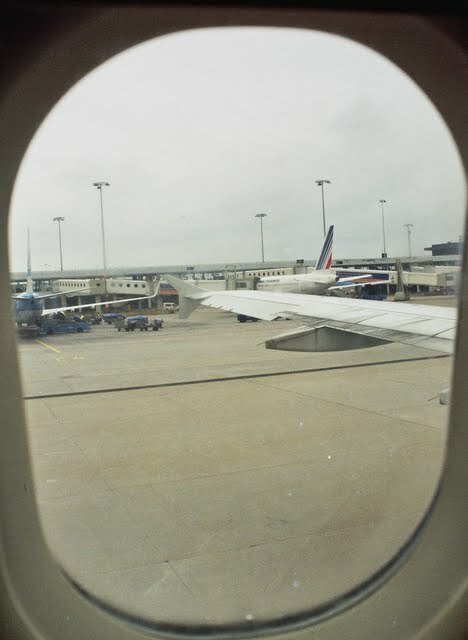 This picture was taken when we were leaving The Hague. Marta ready to board on platform 9 to go back home. We were tired but very happy as our visit had been unique thanks to The Hague Greeters! 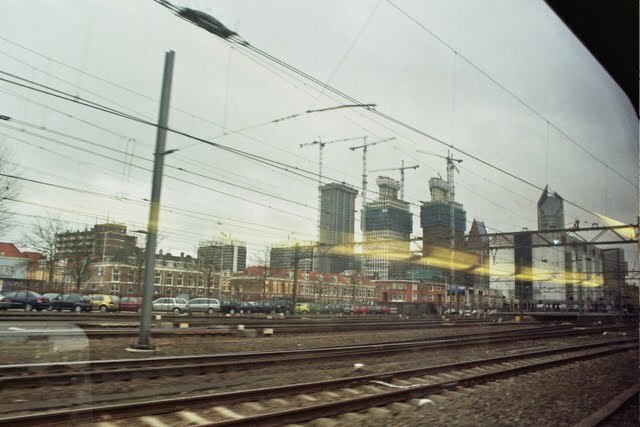 Leaving The Hague by train. A lot of skyscrapers currently under construction. We will come back again as there are still a lot of things to discover.